Getting to the Folk Festival by bus is easy. SunTran’s Ronstadt Transit Center is just two blocks southeast of Jacome Plaza. Review the SunTran route map here. The Streetcar route is just a few blocks from the Folk Festival is so convenient and easy to use! 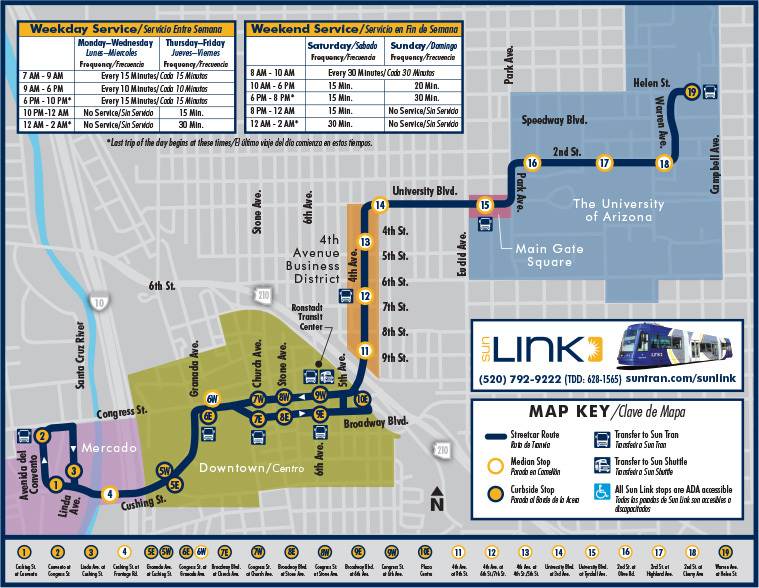 View this video to acquaint yourself with Tucson’s SunLink Streetcar!